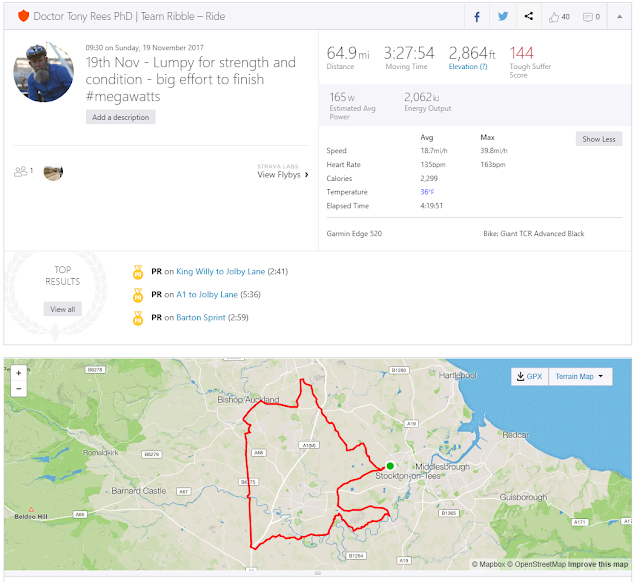 7 Winter days - what an Elite rider did and why he did it. | theraceforthecafe.com . 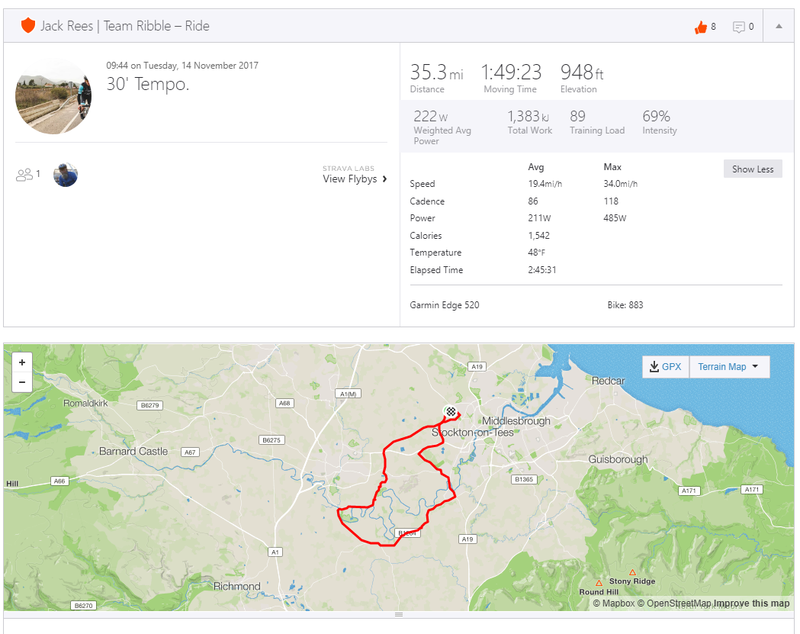 7 Winter days - what an Elite rider did and why he did it. This week the focus is winter training. This post co-written with my son Jack is a bit longer than normal but there is some good stuff here that should be helpful. Jack is an Elite rider, a British Cycling Go-Ride coach and in his 'spare' time is the Boss and founder of Ribble Pro Cycling. 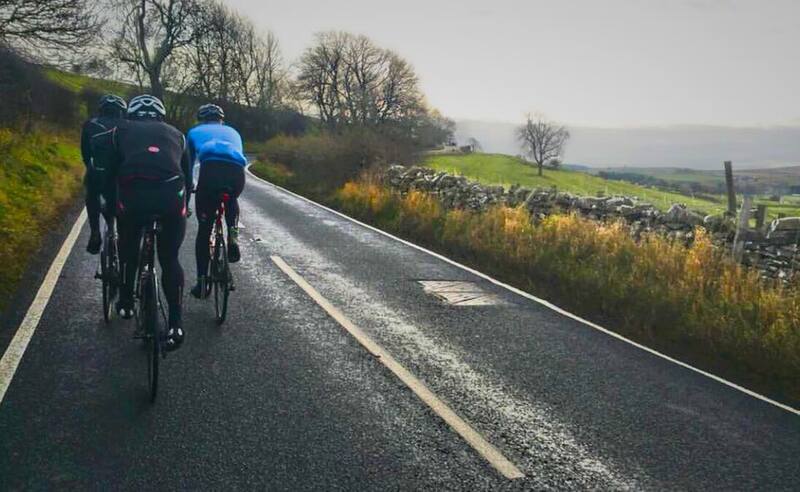 Jack is also my coach and my main training partner, although the word partner is slightly misleading as it might conjure up a picture of us riding along side by side happily chatting through the monotonous steady winter training miles - that is definitely not what we do. Why no conversation? you might wonder, well two main reasons, firstly I am not strong enough to ride alongside Jack (more on that later) and secondly due to his work commitments his training time is severely restricted so his rides are very focussed. Sometimes apart from 'Bonjour' when we meet there is hardly a word exchanged until the training is done and we stop at our favourite cafe on the way home for a coffee. Jack: Endurance ride with a small group; café stop after 2 hours 30 minutes followed by 45 minutes at a higher intensity to up TSS (training stress score). I use the Training Peaks software Training Peaks to monitor all of my training as it gives me access to a huge database of information to compare previous sessions and performances. 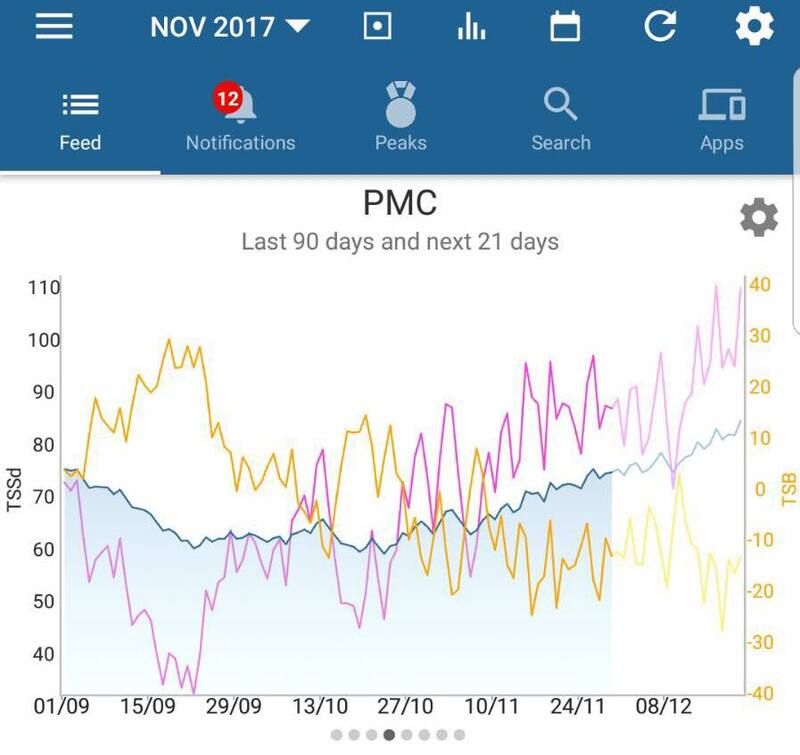 I look at the performance manager tool daily to gauge training stress over the shorter and longer term in conjunction with listening to my body and amending sessions depending on how I am feeling on any given day. Note: TSS is a composite number which takes in to account the intensity and duration of the training undertaken, providing an estimate of the overall training load and associated physiological stress produced by the training session. Jack: The purple line is ATL (acute training load) indicating short term training effect. The blue line is CTL (chronic training load) indicating the long term effects of the training done over the previous 6 weeks.The yellow line is TSB (training stress balance) the difference between CTL and ATL from the previous day. Sun 12th December - Resistance efforts. Jack: This was a shorter conditioning ride with 3 x 5 minute resistance efforts @ 260w, alternating 3 minutes @ 55-60rpm followed by 2 minutes @ 95-100rpm. 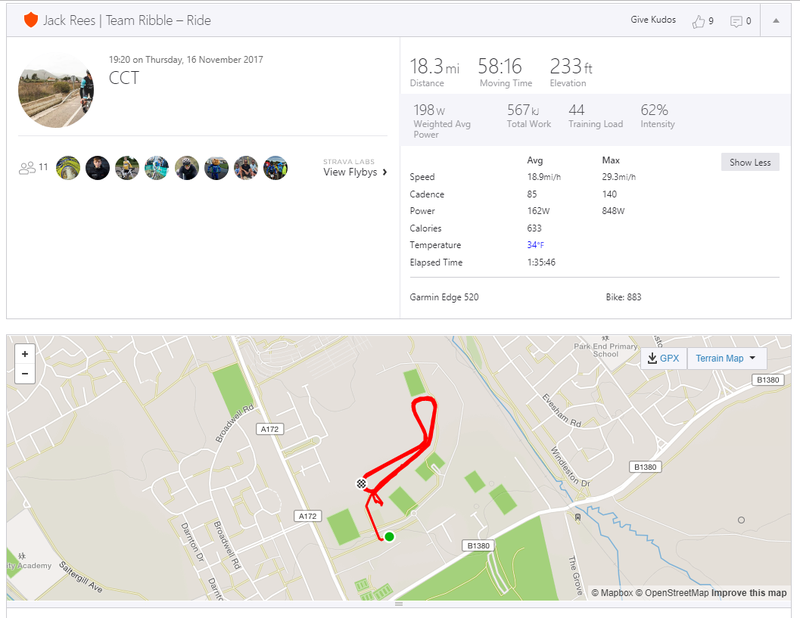 Training to power allows me to control and monitor each training session and maximise every minute on the bike which is really important when trying to juggle work and other commitments. Resistance efforts help to develop seated power and muscular endurance. Maximum of five minutes in duration and at a power just under my CP20 (20 minute critical power - an all out effort only sustainable for 20 mins) alternating time at 50-55rpm with time at 95-100rpm afterwards to focus on pedalling technique. Jack: I always have one day off the bike a week for mental as well as physical recovery. During the first phase of winter training I incorporate some off-bike resistance work, mostly unloaded using bodyweight exercises that work on the posterior chain muscle groups and help to address any imbalances. Tuesday 14th November. Two hours with 30 minutes @ tempo. Jack: Aerobic conditioning underpins the ability to develop a deeper level of fitness. This is perhaps a slightly older school of thought but one that works well for me, the deeper the level of condition the more stable and consistent my form is during the race season. This was a conditioning ride with a 30 minute block of Tempo at 262w. Tempo/sweetspot is a time efficient zone, boosting training stress and increasing anaerobic threshold. Wednesday 15th November. Group endurance. On a rare Wednesday off Jack wanted a 4 hour endurance ride so we met up with a few friends including Will Corbett from the Ribble Pro Cycling team. Next tear Will be moving in to the team's senior squad and riding his first season as an under 23. Will has developed through the team’s structure and had some impressive results as a junior, he is now able to take and respond to higher training loads and is just about to start training with power which no doubt will help him too improve even further. Also joining us was full time pro rider and former team mate Ben Hetherington who also developed through Jack's team structure. You can read the full story of the evolution of the team here Not Just Racing For The Cafe . Ben is an extremely strong rider who is training hard for his second season with UCI Continental team Memil Pro Cycling Memil . Also pictured from our regional team a good friend and one of my regular training partners Dave Atkinson who was short of time so could only stay with us for an hour or so before heading back. The rest of us decided on an out and back route in to the Yorkshire Dales with most of the climbing coming in the first half of the ride. Jack on the left, Will Corbett in blue along with Dave Atkinson and Ben Hetherington on the right. 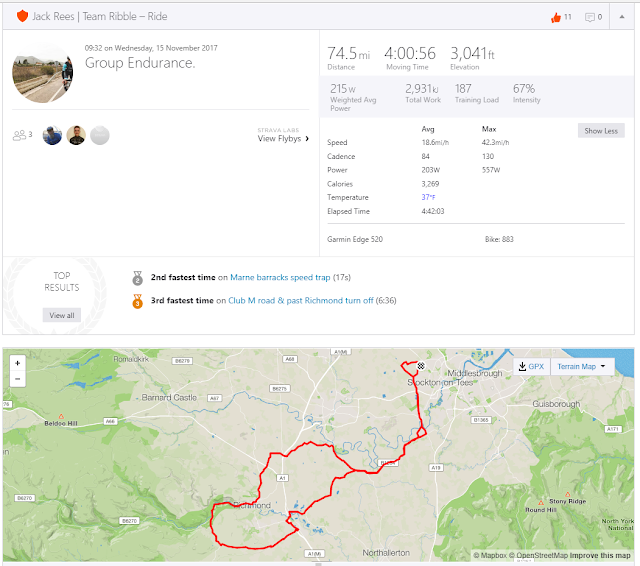 Jack: A day off Work, so did a 75 mile endurance ride with a group of four. We did 5 minute turns focusing on seated climbing. I like to train solo or like this in small groups so that I can control the intensity. Ideally I try to back up conditioning days like this with more conditioning the following day to increase training stimulus but if that’s not possible I try to complete the next day at a higher power output. Above in the Yorkshire Dales climbing up to the village of Downholme on a climb called Wallburn Head, a 1.2 mile ascent with an average gradient of 4%. 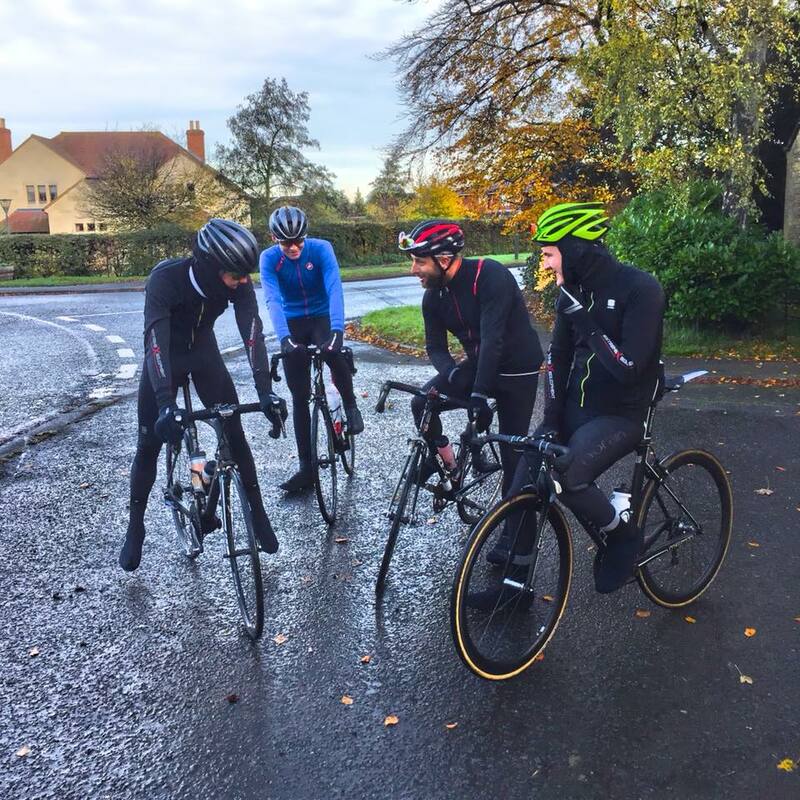 I am grimly trying to stay in contact with Jack and Will while Ben was clearly not under any pressure as he dropped back to do a bit of Instagramming, training with pro's - they make it look easy ! 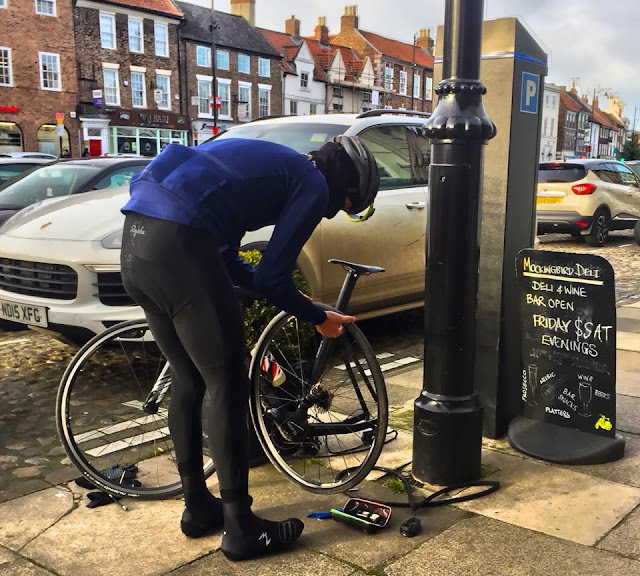 One of the advantages of Jack's job as a British Cycling Go-Ride Coach is that occasionally he can combine working with riding his bike. 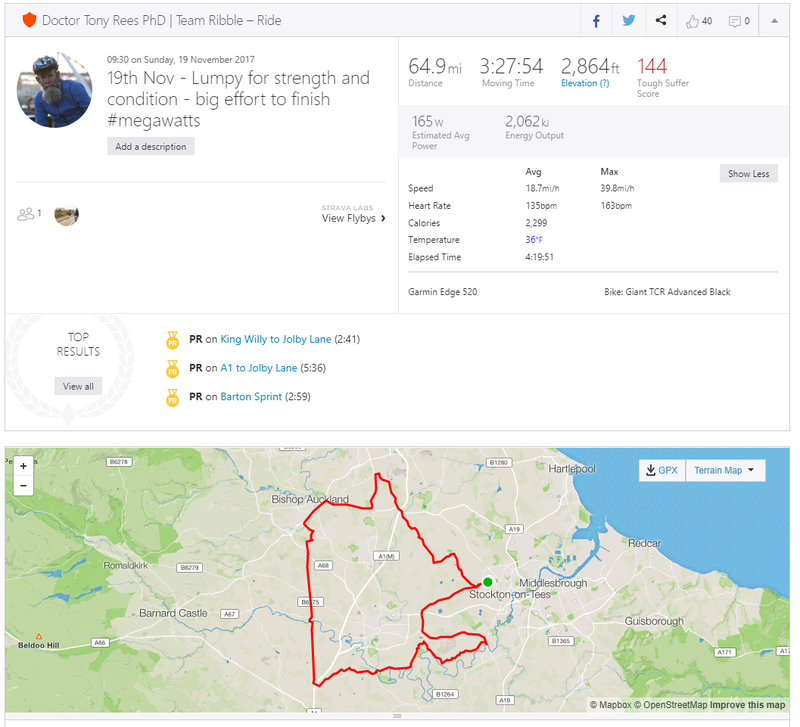 On a Thursday evening he works at the Middlesbrough cycle circuit coaching the best Junior and Youth A&B category riders in the region which makes for a fairly intense hour. Friday 17th Getting it done. Below Jack's TT bike or as he calls it 'The Goat', not sure if that's an affection nick name to be honest. Jack did this ride solo, I think I must have been washing my hair or painting my nails or something. I am not a big fan of 'The Goat' either truth be told, riding behind him when he is on it is grim and makes it extremely difficult for me to hold his wheel, there is definiely not much shelter to be had sitting in behind 'Aero Boy'. Jack: I aim to ride the TT bike at least once per week during November and December, usually a 25 mile loop spending as much time as possible in the TT positon. Included in this ride are 2 x 10 minute blocks at 230w to increase the TSS of the ride. The Goat story, back when cycling was based more on panache rather than aerodynamics and numbers Alejandro Valverde not so affectionately referred to his TT Bike as “The Goat” as it sat in the corner of his apartment and was never ridden. 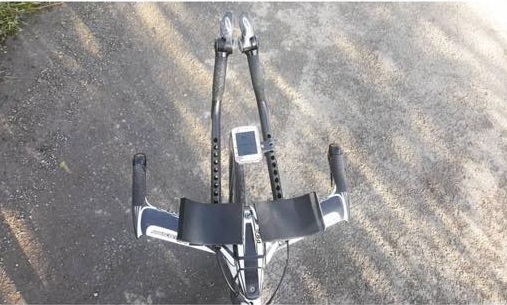 This attitude has of course now been turned completely on it’s head in the pro ranks with the GC riders and TT specialists riding the TT bike for up to 7 hours a week throughout the year. Saturday 18th November: A long work day so no time to train. 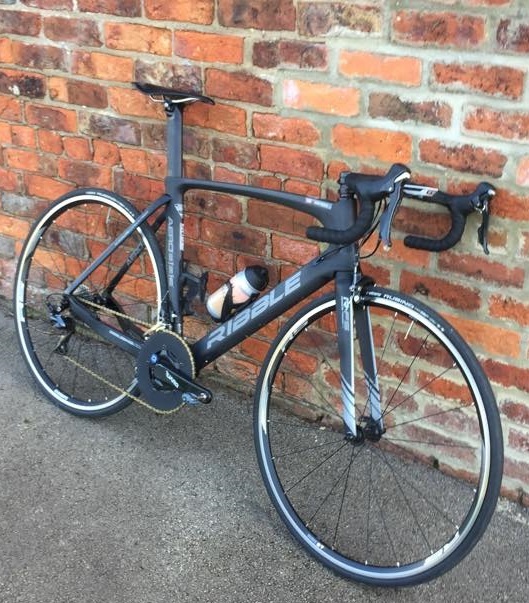 Above new for the coming season Jack's Ribble 883 Aero with power meter. 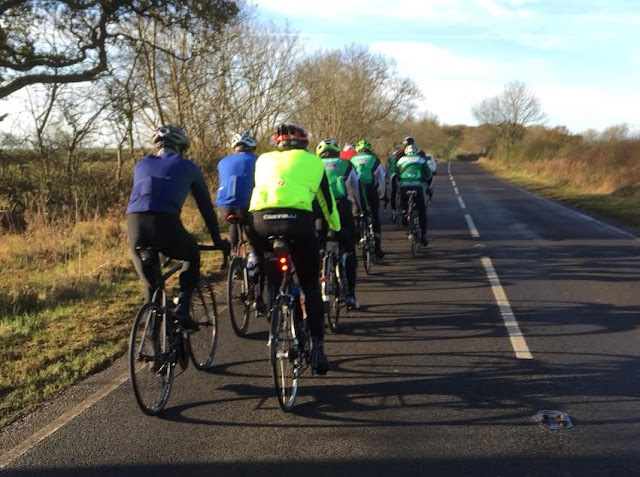 Jack: Another ride for conditioning, a heavy frost overnight so did a big main roads loop. As it was a stand-alone ride following a rest day I rode at a higher base intensity than I would normally during a block of training. I didn’t do any specific efforts in the first part of the ride just kept the pressure on. Stopped after 2hours 55 minutes of riding for coffee. 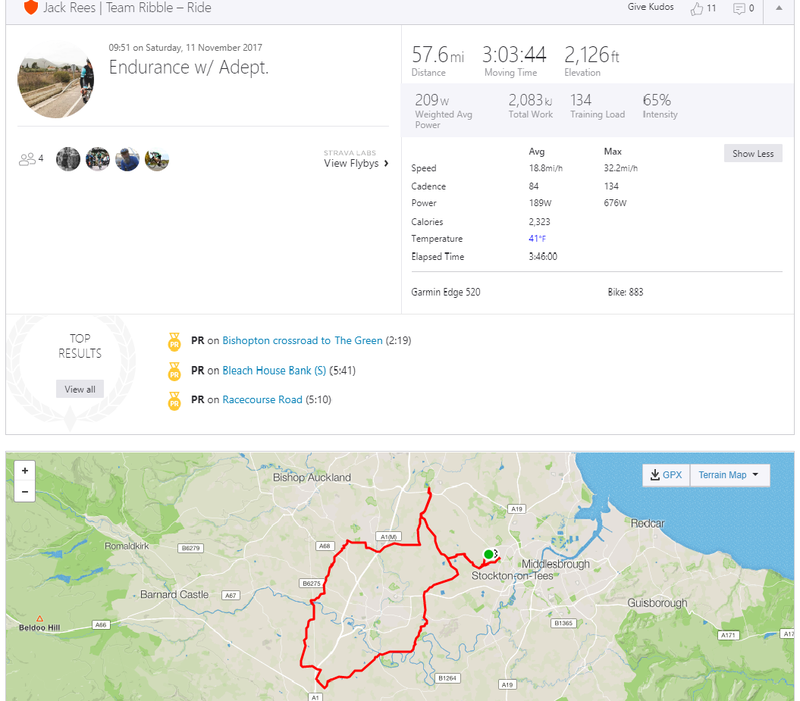 After the cafe stop I did a 45min loop home included within that was a block of 10mins @ 240w and shorter threshold block as a benchmark test @ 311w. Threshold a very time effecient effort level, start with short blocks and build as the winter progresses and fitness improves. Good to compare power figures with efforts of the same duration from different periods of the year – benchmark every week, month etc. Jack's seven training days over this nine day period added up to 316 miles 16 hours 44 minutes of training with an accumulated TSS of 913. If you want to get in touch with Jack he is easy to find on FB, Instagram or Twitter.